Are you curious to know what the house down the street from you is listed at? 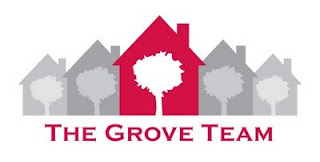 The Grove Team can help you stay updated on the market around you! Would you like to know more? Even if you are not planning a move, we have a no cost, no obligation service report called the Market Snapshot that we can email to you monthly. It is a general overview of the homes that are listed and have sold in the market around you. Click HERE to learn more and sign up for the Market Snapshot. Once you receive the report, if it is not what you expect, we can make adjustments to the criteria or you cam unsubscibe. For more information on your home's market value, contact the Grove Team today to schedule a time to meet with our outstanding listing team. Find us at the office, (817) 337-0000 or online at www.groveteam.com. From the striking stone accent on the exterior to the well design floor plan, to the oversized covered patio, this home has much to offer. Attractive laminate flooring through much of the home is as beautiful as it is practical. The stunning kitchen boasts 42in cabinets, an island with smooth cooktop, upgraded built in appliances and expertly done wall art. Three bedrooms with a study, two full baths and lots of storage. Total square footage is over 1950, and built in 2003. Nestled in a park-like setting on over a half-acre lot, this premier location provides privacy and tranquility—so vital in recent times. In addition to the versatile floor plan, this delightful home is comfortable and welcoming. The generous living room, two dining areas, and remodeled kitchen offer room for entertaining friends and family. Highlights of the updated kitchen include granite countertops, tumbled marble backsplash, and porcelain tile. The custom cabinets boast slide-out shelves, pot and pan drawers, beverage center, premium stainless appliances, and composite granite under-mount sink. Wood floors extend through the entry, hall, and inviting living room. Living space extends to the back yard, highlighted by a screened, covered patio, extensive landscaping, mature shade trees, and storage building. After those great family times, the comfortable master suite is separated from the other bedrooms for quiet and relaxation. The secondary bedrooms are generously-sized as well with lots of natural light. One bedroom is being used as an office and features a built-in desk, file drawer, printer shelves, and a removable section. All baths have been remodeled with granite counter tops, designer faucets, porcelain tile, and updated light fixtures. This remarkable home is nestled on over a quarter-acre lot in prestigious Overton Ridge in Keller. The well-designed floor plan features everything a family looks for; four generously-sized bedrooms, four full baths, study, media room, and an upstairs game room. The media room features a wet bar and media equipment (electronic equipment is negotiable). You couldn’t ask for a better kitchen with upgraded stainless appliances (including double ovens), custom cabinets, glazed walls, granite counter tops, and plenty of natural light. The luxurious master suite is downstairs for privacy and convenience. Amenities extend into the master bath with a separate oversized shower, dual vanities, jetted tub, and walk-in closet. Enjoy the long Texas summers and even the cooler weather in your own private (heated) pool and attached spa. The stunning natural-look salt water pool and spa is surrounded by lush, professional landscaping, water feature, and attractive outdoor lighting. And there’s still plenty of yard space for all your outdoor fun. Take note of the three-car garage—so handy! Make this one yours! Call the Grove Team direct, (817) 337-0000 or online, www.groveteam.com to schedule your private showing. Well maintained and tons of storage throughout! The open concept with the family and kitchen offer great entertaining options and flow well into a formal dining area. The generous master suite has a sitting area and an amazing closet. This meticulously maintained home features a well designed floor plan, many improvements, and upgrades. Wait until you see the oasis style backyard. Offering two living and two dining areas, a study, and three bedrooms all of your needs are met. The low maintenance backyard is inviting and includes a spa, composite deck, pergola and water garden - FISH are included! Do I need an agent with new construction? The short answer - YES! As a full service real estate team, the Grove Team, Keller Williams offers representation to buyers purchasing new construction in Northeast Tarrant County. For example, an agent can provide information on recent sales and resales available in the subdivision and area and advise as to experience with particular builders. For example, while not practicing law, an agent has experience with the contracts builders use and pointing out ways in which the contract provisions can surprise a buyer. An agent can assist in clarifying differences in the model home and in the standard home. An agent can provide information as to pitfalls to avoid in building a home to maximize resale value. An agent assists the buyer in working with the builder to stay on schedule. An agent can ask the hard questions and still preserve the relationship between the buyer and the builder. An agent will be unrelenting in making sure that the paperwork necessary to protect the buyer’s interests is maintained. The sales contract written by the sales representative is usually not valid until accepted by corporate management—a process that may take weeks. An agent advises as to the importance of staged independent inspections. An agent makes sure that the buyer understands the procedures in closing and dealing with an outstanding issues. Guest Blogger, David White with Prospect Mortage talks about current interest rates. The Grove Team, Keller Williams would like to extend a huge thank you to David and his team at Prospect. For more information on interest rates and your ability to purchase, visit David's website below. Current interest rates on new and refinanced mortgage loans have never been lower in our nation’s recorded financial history. By consequence, monthly payments relative to mortgage loan balances have never been more affordable. Does that sound dramatic and unprecedented? It most definitely is! American consumers who are buying a home or refinancing their existing mortgage right now are getting a BETTER DEAL on their real estate financing than every previous generation of Americans who had mortgages in our nation’s recorded financial history. That’s over 200 years. So it’s fair to say there’s never been a BETTER TIME in over two centuries to get a home loan! If you have not already refinanced your home loan, please call me today and learn how you can benefit from these historically low interest rates. If you are considering buying a new primary residence, second home or investment property, call today and let’s find out exactly how these incredibly low mortgage rates can save you a lot of money. Call me today to take advantage of this extremely rare opportunity that can save you a significant amount of money over the life of your loan. Don’t wait. The market is volatile and changing rapidly. The time to lock in maximum value is RIGHT NOW. P.S. Please don’t keep me a secret. I am ready to help your family members, friends, neighbors, acquaintances and work colleagues with the same professional guidance and friendly service that I provide you. Thanks for your support! • Expect short notice. Maintain your home in ready-to-show condition. Please use our “Getting ready for pictures” page as a guide. • Increase buyer’s comfort level by giving them privacy. Take the opportunity to run a few errands or see a movie. If it is impossible for you to leave, step outside and remember - silence is golden. • Showcase your home as if you were receiving guests. Put out fresh flowers, guest towels, and be aware of any unusual odors. Would you like to know more - or are you thinking about selling your home? Contact the Grove Team, Keller Williams today! We can be reached at the office, (817) 337-0000 or find us online, http://www.groveteam.com/. The Grove Team professionally analyzes the current market to determine the highest price at which your home might sell. The importance of the decision about the initial price of your property cannot be overstated. Some agents will quote a higher listing price just to get your business but an overpriced house will not sell. On the Grove Team we have a 97% list to sales price. What does that tell you? We price you in a position to sell with the market - not behind it! The Grove Team with Keller Williams Realty would love the opportunity to work with you to market your property. In order for us to effectively market your home, we must work together. This information guide familiarizes you with how your personal real estate team works with you to get your home sold quickly! Photos - Our listing coordinator takes photos for printed brochures and electronic marketing. Internet photo galleries are used to promote properties on the Grove Team website (www.groveteam.com) and other websites in order to give 24-hour exposure to your property. Because pictures attract buyers, it is important that your home looks its best on photo day. Internet entry – Your listing’s entry to our local Multiple Listing Service is normally completed within 24 hours after photos are taken. Please allow ten days for your information to be available for viewing on Realtor.com, the Keller Williams site, the Grove Team site, and others. Graphics - A full color flyer of your home will be provided by the Grove Team. This flyer includes upgrades, improvements, and specific information regarding your property. If there are details that you would like to be featured, please be sure to inform us right away. We initially order 25 copies; please notify our office when you need more. Feedback from showings – Comments from agents showing your property are requested daily. Agent feedback helps measure the market’s response to your property. This feedback is available to you through email reports, on the Centralized Showing Service website, or when we call you each Friday. Lead tracking – Members of the Grove Team are licensed real estate agents and respond immediately to inquiries. Each member aggressively tracks prospects using our follow-up system. Stealth marketing – When appropriate, the Grove Team employs a professional staging service to offer recommendations on preparing your home for sale. This service includes a written report for your review. Our staging service offers tips on how to make your property show more effectively by highlighting the property’s features rather than personal belongings. This gives your property an edge over your competition-essential in today’s market! Utilities – Utilities must be available and in working order even on vacant properties. Showings, home inspections, and the final walk-through must be conducted with functioning utilities. Agent showings – Showings help us sell your home! Please make every effort to make your home ready and available to show at reasonable times. An electronic lockbox will be placed on your door to make your home more accessible and to electronically track showings. This box will remain on your home until after closing to accommodate home inspections and the final walk-through. Please let us know if other parties have access to your property. Offers – We present offers as soon as possible. Our aggressive negotiating skills help you obtain the best terms and conditions. As appropriate, the Grove Team utilizes the latest technology and obtains electronic signatures. Fax and email are used when necessary. Inspections – When your property goes under contract an inspection is usually required. Home inspections can take up to three hours. Often the buyers and their agents will accompany the inspector during that time. Please plan to be away from your property while the inspection is in process. Public open houses – It is our policy to hold open houses on an individual basis, subject to the area and opportunity. Concierge services – Any service provider recommendation made by us is offered strictly as a convenience to you. Our recommendations are based on our previous positive experiences or referrals from past clients. Our team does not receive any compensation for referrals. We are always interested in your feedback and comments. Appointment service – We work directly with Centralized Showing Systems to schedule all showing appointments. They will contact you according to your instruction. Are you ready for a team to provide you with world class service? Call the Grove Team today to schedule your personalized listing presentation. Reach us at the office, (817) 337-0000 or find us online, www.groveteam.com. The correct selling price of a home is the highest price that themarket will bear. To assist you in determining the correct asking price, the Grove Team can provide you with a comprehensive market analysis of comparable properties sold and offered for sale in your neighborhood. Simply contact the Grove Team with Keller Williams, and we will provide you with a speedy response. The more information given, the more accurate the evaluation. All information you provide is secure and will be kept strictly confidential. There is no cost or obligation. Congratulations! You have decided to purchase a home, or are thinking about buying one. You'll be joining the ranks of hundreds of families who realize that home ownership offers a number of benefits including building equity, saving for the future, and creating an environment for your family. When you own your own home, your hard-earned dollars contribute to your mortgage. The equity you earn is yours. Over time, your home will increase in value. When getting into the buying market, you'll need to be armed with the information to make a wise buying decision. We'll take you through the planning process step-by-step , to help you determine which home is right for you. You'll find a host of informative articles on mortgages, viewing homes, the offer, closing details and moving. Call the Grove Team, Keller Williams today, (817) 337-0000 or find us online, www.groveteam.com. Our team of Buyer Specialist are highly trained to represent you in the purchase of your new home. Would you like more information on selling your home? Call us at the Grove Team, (817) 337-0000 or find us online, www.groveteam.com.